If social media is powered by storytelling and great stories are what lead people to sharing, then no wonder podcasts are growing in popularity. 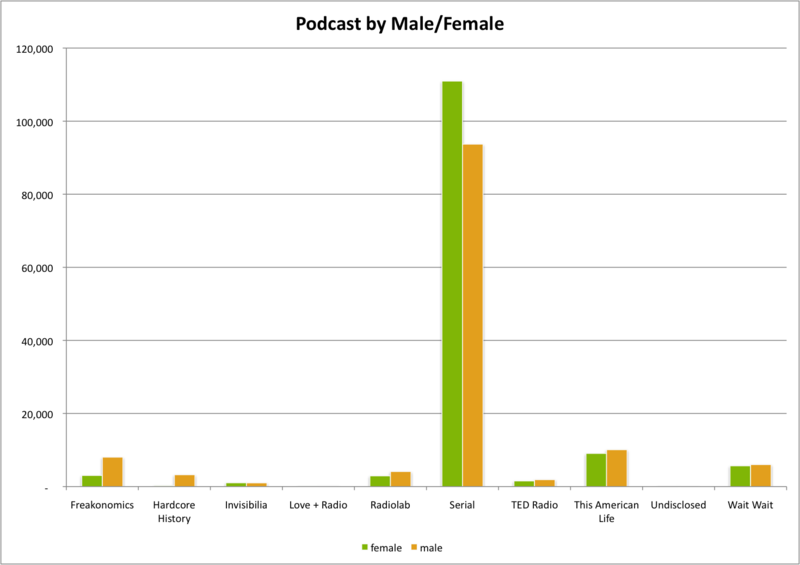 I’m listening to Serial, a very popular podcast, as I write this post. 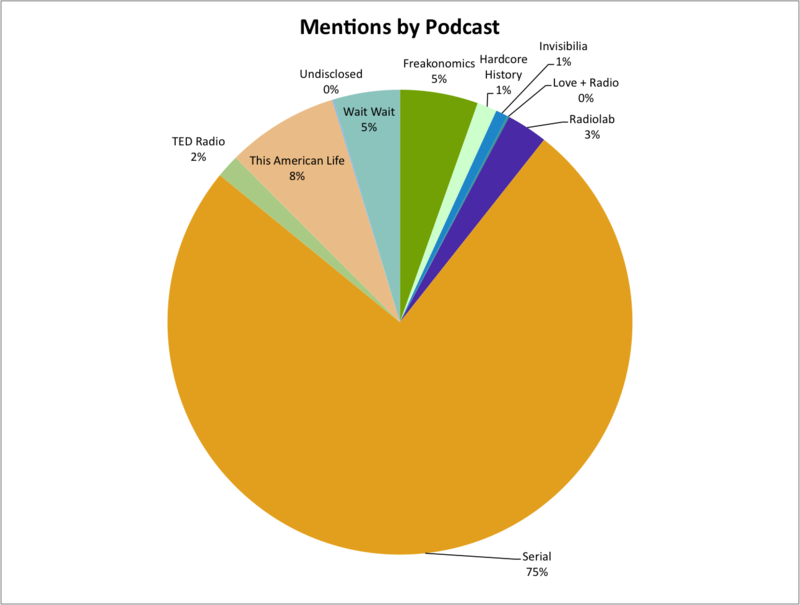 Serial is the fastest-growing podcast with 5 million streams. 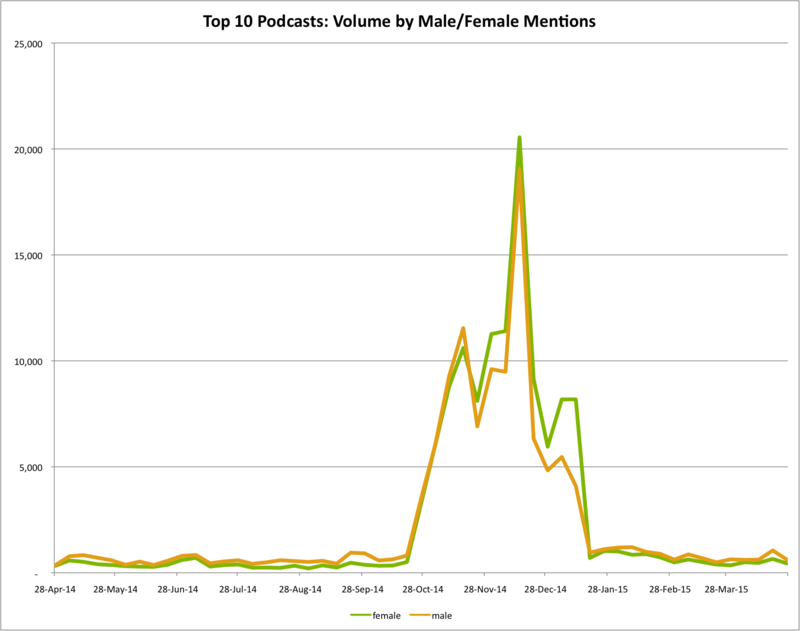 Women account for less than half of the podcast conversation; but Serial changed all that. Women were producing more content — and for a longer period of time — than men. 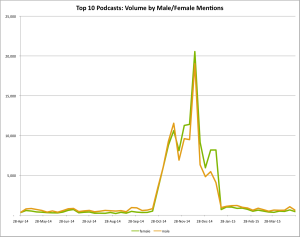 The overall level of conversation measured on Brandwatch about podcasts after Serial is higher than before, demonstrating that the category has grown. “We believe interest has grown, as well, and that the social conversation surrounding it will continue to grow, driven by women,” said Scherer. Pew Internet has been watching podcasts grow in popularity over the past two years and Edison Research reported that fully one-third (33%) of all Americans 12 years of age or older now say they have listened to at least one podcast, to the tune of 39 million Americans. Moms have smartphones in hand almost 24/7 — 76% of moms sleep with their phones by their side. They would give up their dishwasher and favorite shoes before they would give up their phone. As brands look for new ways to reach moms and break through the clutter, podcasts offer an interesting new media/content opportunity. 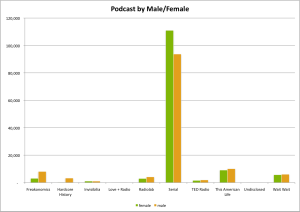 Podcasts are as mobile as today’s busy mom is. Podcasts aren’t just being created by radio. 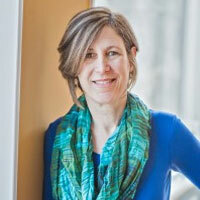 Entrepreneurial moms are creating their own podcasts and embedding them into their blog posts. Podcasts embedded in blog posts make them more personal and bring the words to life. Moms spend a ton of time staring at computer screens so podcasts give their eyes a break and provide an opportunity to consume media in a different way. From the production side, podcasts give content producers another way to think about and present their ideas to others. Podcasts allow moms to multi-task. 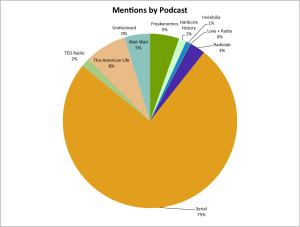 Scherer’s research shows that women are talking about podcasts most often in the early evening and late into the night, suggesting that moms are listening while they cook, go about their nightly routines and wind down. Moms can listen to podcasts while doing repetitive tasks like making lunches, weeding and housecleaning. Some say it’s their secret weapon to making housework pleasant. Others listen to podcasts while driving kids from point A to point B or while walking and exercising. Depending on the podcast, mom can listen for continual learning, to be inspired, to be entertained or just to relax. 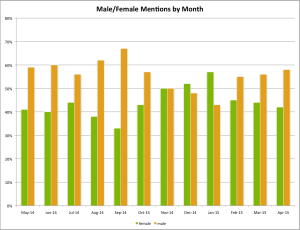 And bloggers listen to podcasts to gain skills that support their blogs and marketing efforts. Best of all, almost all podcasts are free which makes moms managing the household budgets very happy. A couple of podcast ideas that moms would love. • How-to podcasts. Moms love how-to videos so common sense says moms would love how-to podcasts. Many parenting podcasts exist and podcasts abound about education, including homeschooling. • Entertainment podcasts. Moms love a good laugh. What better way to connect with her then being the bright spot in her crazy day? • Storytelling. Capture her attention with a great story and an authentic voice.